Let me give a little bit of a disclaimer to start. I have really great boys. Yesterday, while I was taking care of a few things, Walker was playing with the baby on the bed, and Charlie was making everyone peanut butter and jelly sandwiches downstairs. They pull weeds and put away their own laundry. They ask to be excused from the dinner table. They still kiss me goodbye. They're fantastic. I guess that since the majority of the time they are so well behaved and act way older than they actually are (5 and almost 4), I have really high expectations for them. Our Primary presidency hosted a Pioneer Day Activity ^ this past Saturday, and it was perfectly timed. It was inspired, for sure, and the boys came back from it and said, "It. Was. Awesome!!!" They played games, learned how to make butter and wash their own clothes by hand, planted seeds to grow their own veggies. What a great day for them. You are raising some fine Southern gentlemen! They will be grateful for all of these little life lessons one day. I know I am! Amazed by how amazing your boys are! It is great for kids to have experiences that help them to realize how fortunate we are. I even catch myself acting a little bratty sometimes and have to check in and remind myself how fortunate I am. Sounds like you're raising two gentleman! 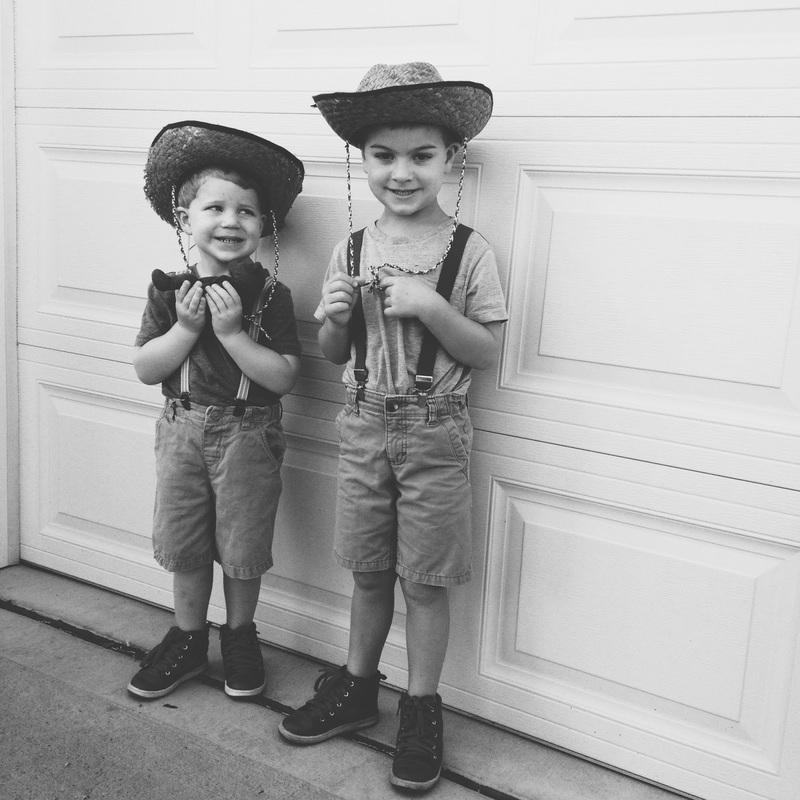 Glad they had a fun time at Pioneer Day!